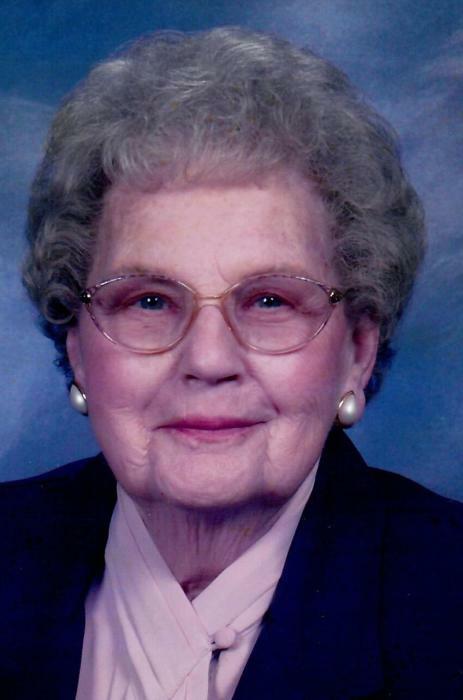 Maxine Winifred Felton , 99, long-time resident of Breezewood, PA, died Thursday, February 7, 2019 at Homewood Retirement Center, Martinsburg, PA.
Born March 20, 1919, in Clearville, Pennsylvania, Maxine was the daughter of the late Harry and Nellie (Mearkle) Fletcher. She married Foster W. Felton on June 11, 1939, and the couple established their home in Breezewood where they raised three children. Maxine and Foster shared over 60 years of marriage prior to Foster’s passing on March 8, 2000. From 1946 until 1964, they ran the Felton General Store near what is now US Route 30. She was later employed in food services by the Everett Area School District at the Breezewood Elementary School until her retirement in 1981. In 2005, she moved to Martinsburg, Pennsylvania. Maxine was a 1938 graduate of Everett High School. She was a member of Mt. Zion Lutheran Church in Breezewood. At Mt. Zion, she had served as an officer of the Lutheran Church Women as well as a member of the church’s choir. She was also a charter member of the Breezewood Firemen’s Auxiliary. Maxine is survived by two loving children and their spouses — Harry and his wife Linda (Whisel) Felton of Martinsburg, Pennsylvania and Jacalyn and her husband Richard Phillabaum of Latrobe, Pennsylvania. Maxine is further survived by nine grandchildren and twelve great-grandchildren. She was preceded in death by her husband Foster; her daughter Carol Lockwood, who was married to James Lockwood (surviving) of Webster, Texas; a grandson; and her two sisters, Charlotte Young and Joanne O’Neal. Maxine’s family will lovingly remember her unique sense of humor and warm smile as well as her love of gardening, word finds, and her insatiable sweet tooth. The family would like to extend its gratitude to the staff of Homewood at Martinsburg for the many years of care and compassion extended to Maxine. A memorial service and celebration of her life will be held Saturday, April 13, 2019 at 2:00 P.M. in the Chapel at Akers Funeral Home with Pastor Judith Simonson officiating. Friends and Family will be received from 1:30 P.M. until the hour of service at the funeral home. Burial will be held privately at Mt. Zion Cemetery, Breezewood.